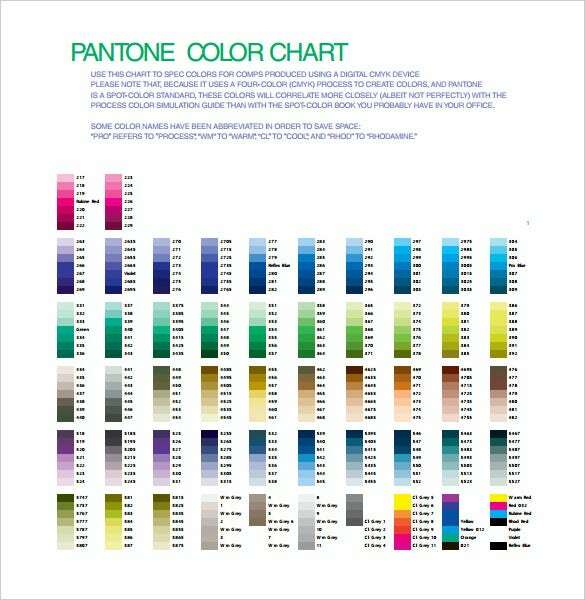 The colour chart also known as the colour reference chart is a simple chart that contains different colour samples. 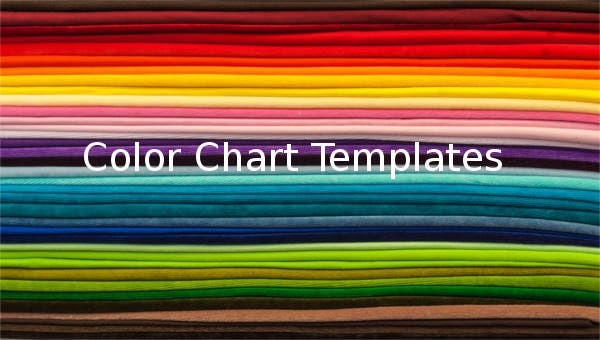 The Colour Chart Template PSD samples will provide a wide ranges of colour samples that will help you to make an informed decision on what colour to choose. So use the colour chart template and find the best shades of colour that can be used to colour your home and rooms and make them look beautiful. The Diamond Colour Chart PSD is a superb chart that can be used to understand the different grading of diamond available in market. The chart contains twenty three different grades of diamonds that are differentiated in five part which are colourless, near colourless, faint yellow, very light yellow and light yellow diamond. The Hair Colour Chart in PSD is a comprehensive chart that provides an overview of the different colour shades that are available in the market for use by the people. So when you think of dyeing you hair, use the hair colour chart to choose the best shade for your head. Color charts are used to indicate levels of health wellness. 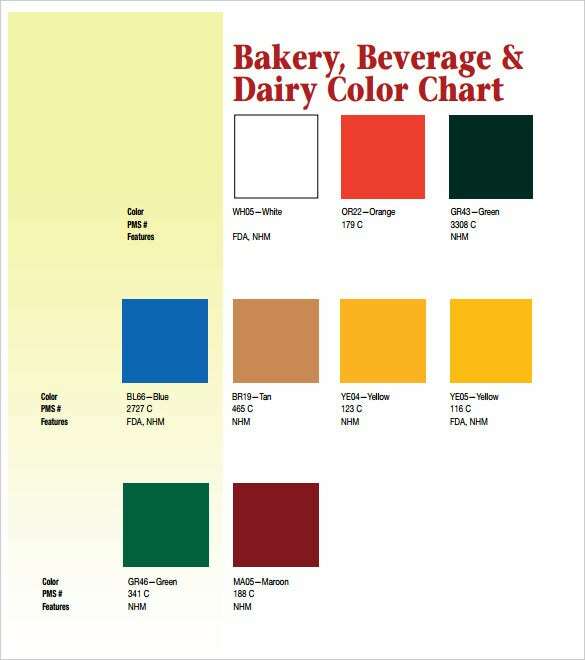 This color chart is an example. The chart is useful for providing information about urine color which may tell you if you’re suffering from ailment. 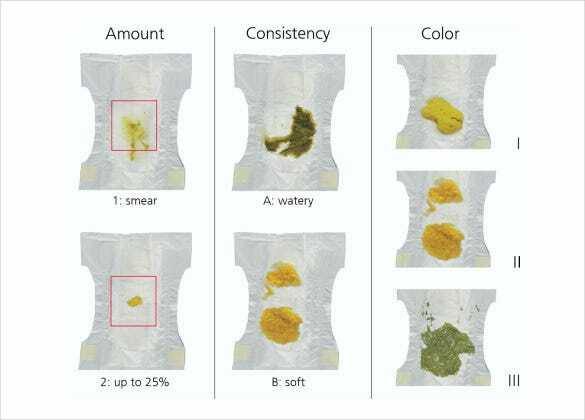 This Urine Color Chart is in PSD format is equipped to tell doctors and patients all the information regarding urine color and what it implies. 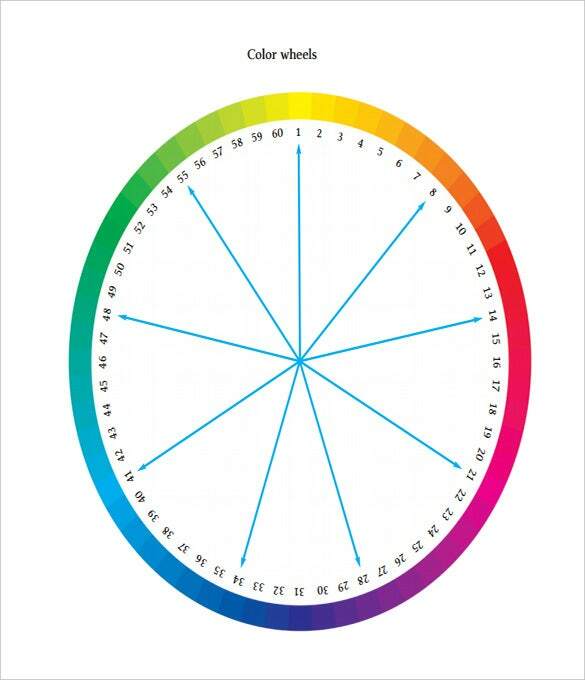 The color chart sample features the classic color wheel. 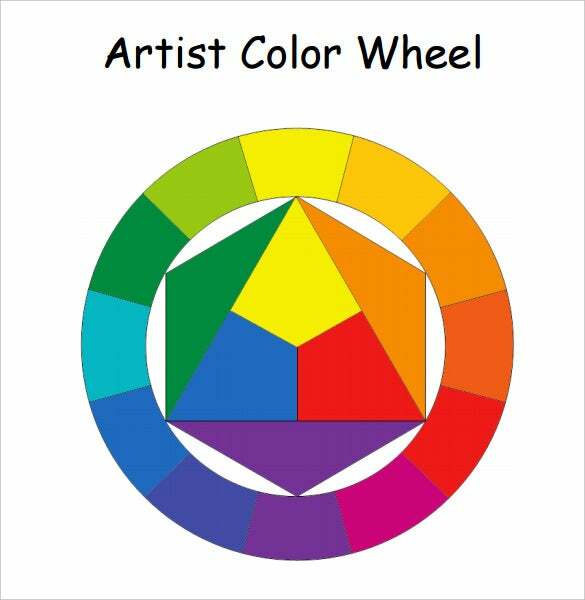 This sample can be used in academic environments to instruct and teach students about the different colors on the color wheel and what happens when they are mixed with one and another. In short, this chart gives views a clear about colors mix and match. Stool colour can tell you a lot about your health. To help you self diagnose the health issue, the stool colour chart comes in handy. The Stool Colour Chart PSD helps you to understand the reason for different colours of stool, the health issue associated with it and the precautions to take. This is an RGB Color Codes templates. Popularly this chart is useful to get clarity about the colors which get produced after mixing the likes of red, green and blue – primary colors. If you’re hoping to do up the walls of your home or office, this PSD color chart may be a good guide. The CMYK is a subtractive colour model that contains the four colours cyan, magenta, yellow and black. The CMYK Colour Chart PSD provides a wide range of colour shades that can be created by the colour model. 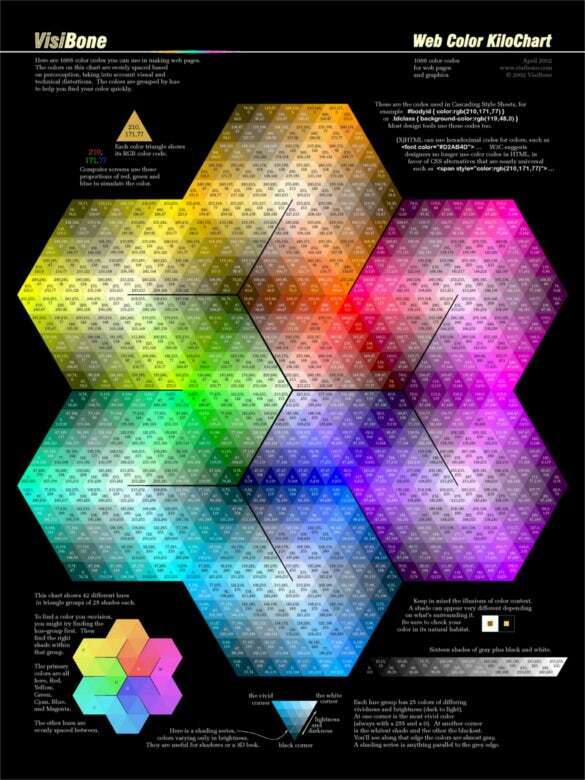 The CMYK colour chart is a must for all the printing companies. The Food Colouring Chart PSD contains a collection of all the food colours that are used in the food industry. The food colour chart helps you to find the best colour that you can use to make your dish look more awesome and you can also mix these food colours. Due to different atmospheric conditions, environmental conditions and also genetic diversity, there are people who have different skin colours. The Skin Colour Chart in PSD provides information on the different shades of skin colour found in the world. This colour chart helps to identify people from different parts of the country. Web designing is a serious business and only the best looking web pages are used by the companies. The Web Design Colour Chart PSD provides a huge collection of colour shades that can be used effectively and extensively to design the web pages and create the best looking web pages.